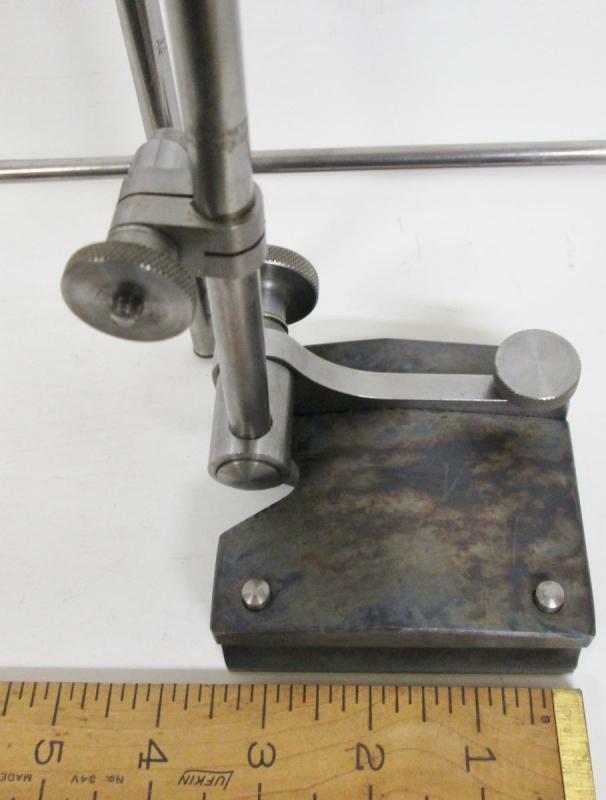 This is a very nice, 99% like new large size universal surface gauge from the 1970's-80's era, including both the 12&quot; and 18&quot; long spindles. It is marked &quot;THE L.S. 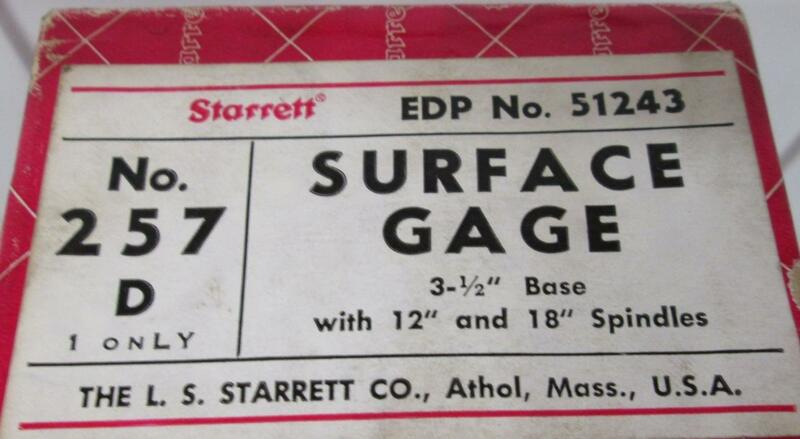 STARRETT CO. ATHOL MASS. U.S.A.&quot; on both the spindles. The gun blued base is 3.2 x 3.5&quot;, and comes with a very good scriber in about 99% like new condition overall. Sets flat on the surface plate, pins work fine. We note that there is some tiny spots where minor staining or discoloration has marked the bottom surface of the hardened base, but is doesn't effect use at all. The original cardboard box is included. The box has a good label, some of the red paper is a bit loose and one end has had a clear tape repair on the corners, otherwise solid condition. Very clean, no owner's names or marks, no rust! Items Similar To "Starrett No. 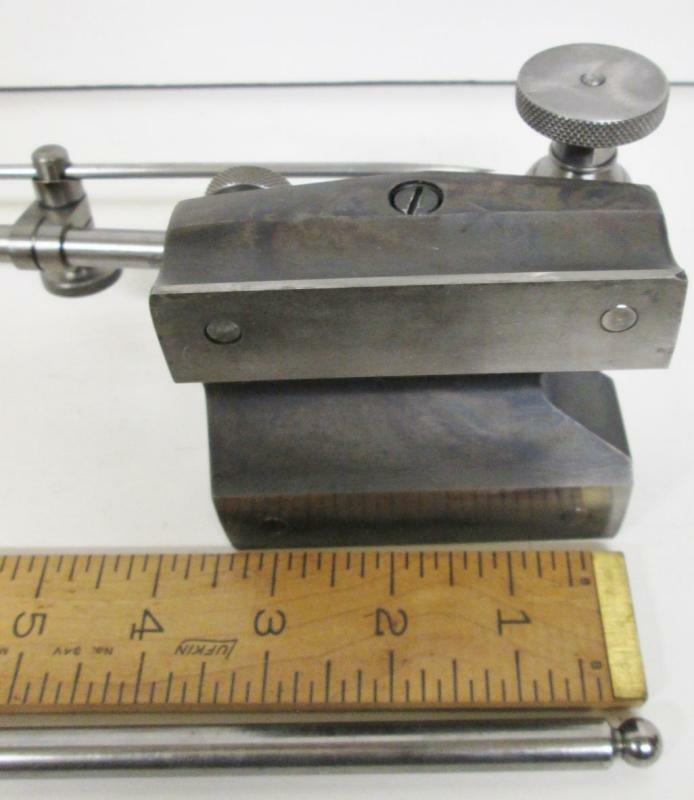 257 Surface Gage w/2 Spindles Large Base"
Lufkin No. 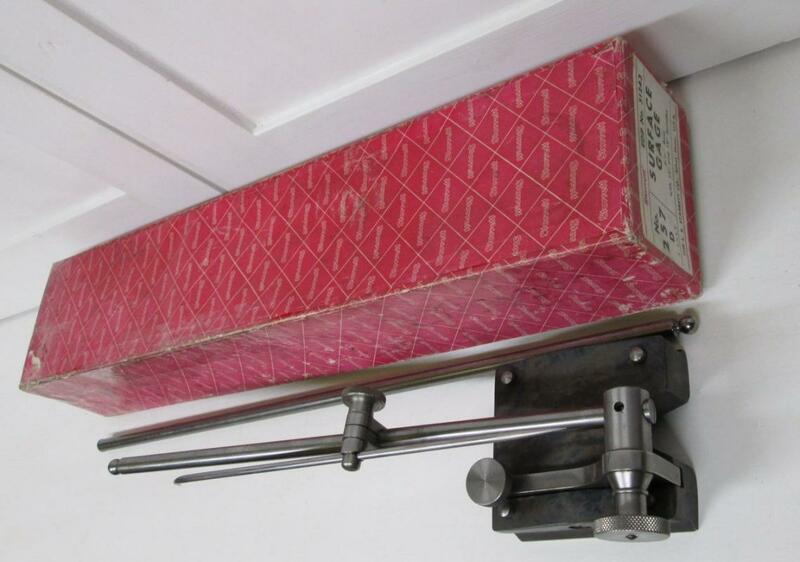 521 Surface Gage w/Box Mini Size!